You can’t go on a long ride without a backpack – where would you put all your stuff? Yes, a man can travel around easily enough with a slim wallet and phone in the pocket but, every now and then, a trip might require a heavier load of things like food, refreshments and other essentials. A dedicated motorcycle backpack will help you keep things organized without having to switch between bags every time you plan to go out for a ride. If you think about America, it is about getting your backpack on and heading out. Choosing the best motorcycle backpack (or motorcycle bookbag) can be a little tricky and choices often vary on your personal preferences and needs. However, a good backpack has some features (for example, size, water-proofing, durability and price) that make it stand out from the rest. These are but a few of the features that will affect your buying decision. We’re here to provide you with some clarity on each of these aspects to ensure you get exactly what you're looking for. After all, you’re not a real biker if you don’t have a good reliable backpack to be your trusty, thing-carrying sidekick. There’s a huge selection of backpacks available so whether you have a deep pocket or need something in the budget range, there’s a backpack out there waiting to be yours! When and Where Do You Ride? How often you ride should be a determining factor when choosing a motorcycle bookbag. If you plan on being out on the road for long days, a strong and durable backpack is a better choice. While a backpack that’s made to last might require a bigger initial investment, it will offer better functionality. A backpack that’s only used for your annual Easter road trip doesn’t need to be as durable or premium quality. Where you ride will also play a role. If you plan on facing the elements while out riding with your backpack, you want a waterproof motorcycle backpack that is weather-resistant. Some backpacks have rainproof covers that can be placed over the pack for rainy days – a must-have feature if you live in colder areas with harsh weather conditions. Going off-road? Please don’t get a designer brand bag! Stick to a tactical-style backpack that will keep up with your wild adventure. The type of fabric and stitching will make a big difference as well – tight and double stitches are strong and will last for a long time. Features such as reflective markers on a backpack are essential for riding in the dark and during wintertime. What Will You Be Carrying? The size of your motorcycle backpack should be compatible with your habits and style. A backpack can be useful for many reasons. It can be used to carry a laptop to work, in which case the bag should preferably have a padded laptop compartment and an extra storage space to keep your wires and plugs. Features such as internal organizer pockets will be useful if you plan to carry similar small items. If you plan to use your backpack as a gym bag, a space to keep your sneakers would be helpful. You get the idea. When choosing the size of your bag, think of what you plan to put inside. You might even prefer a bag that’s big enough to keep your motorcycle helmet while walking around after a ride. Style and design are always a factor, even if you pretend not to care about that type of thing. A motorcycle riding backpack needs to fit the purpose of your riding. Some designs are made to be aerodynamic and suited for riding at high speeds, while other designs are built for off-roading or longer cross-country rides. Lightweight backpacks are a good idea to keep riding trips comfortable and as long as they are well made with durable fabric, they will not compromise on quality one bit. Then there’s the visual part: nobody wants a backpack that looks out of place with leather motorcycle boots and a sleek helmet. If you plan on using the backpack as a work bag, choose something more elegant that won’t be out of place in a corporate environment. A versatile bag might also be a good choice if you’re looking for an all-around useful satchel. Now, we just cannot take the fun part out of bike riding. The backpacks on our list have safety ratings attached. You should consider them before purchasing the bag depending on your risk appetite and the conditions you plan to ride in. Although accidents are never planned, riding bikes comes with it's risks so I'd suggest you rather be safe than sorry and prepare for the worst. A good motorcycle backpack can act as an added layer of cushion, especially for your back if you are thrown off balance. Additionally, if you're planning to carry valuable items like laptops a hardshell backpack will will offer the best protection. Moreover, you can use the backpack to carry your first aid kit. This can be very helpful in case you or someone else sustains minor or serious injuries in an accident. Looking for features that make a backpack easy to use will change your life, I promise. Technology has made for wonderful advancements such as zipper pulls that can be handled even with gloves on. Waist and chest straps should be easy to unbuckle and fasten, and the bag should be easy to clean – riding is rough and the bag should be able to withstand a regular wipe-down! A ventilated back as part of the external frame helps improve the airflow while you ride. Opting for fabrics such as mesh will help create breathability and create air channels for better comfort. It’s also important to keep hydrated while you drive so a bag with an external bottle holder that can be reached while you ride is a great idea. Attachment points on the outside of the pack can be very useful to fasten different gear such as a jacket or gloves when you’re not riding. There's nothing wrong with using that old motorcycle bookbag you have lying around at home, other than the lack of safety (for you and your belongings), the missing waterproof lining, the high drag and weak straps. But if you care about any of these factors you want to invest a little in getting yourself a proper motorcycle backpack. The general rule that you get what you pay for definitely holds true in this case. However, quality does not necessarily mean you need to splurge to get a good deal. A good motorcycle backpack could last for several years provided you take proper care of it. 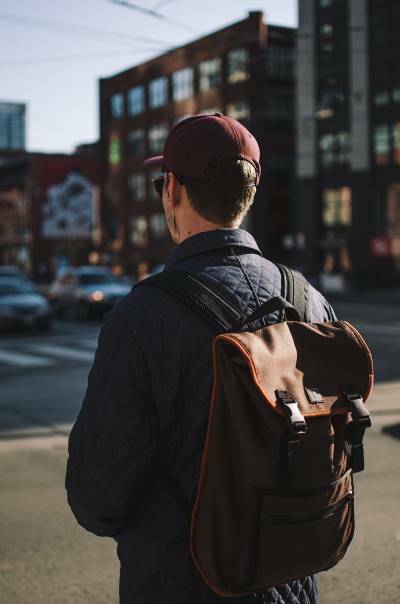 You'll notice in our reviews section that we've been careful to test a variety of backpacks with a wide range of prices so read on to find out more about the key highlights and let downs. If you're looking for a small motorcycle backpack, you would be well off with the Alpinestars Roving Backpack. I personally am not a huge fan of big bags. I find them to look a bit awkward and I feel as if I'm carrying my entire desktop instead of my laptop. I'm also a big fan of Alpinestars when it comes to the rest of their gear and this bag certainly did not disappoint. Although it only has an 18l capacity i could still carry my 15" laptop and a few other basics which is perfect for a day at work where I really don't need to be carrying much more. Alpinestars have put a lot of thought into the design of the bag, It fits snugly on your back with adjustable highly padded shoulder, chest and lumbar straps, coupled with the air resistant design making for a comfortable ride. To add some extra storage space, Alpinestars have included a flap at the bottom of the bag which will allow you to roll up a jacket and store it underneath the bag while you ride which obviously allows you to keep more belongings inside the actual bag. Looks very similar to the OGIO Mach 5 with a few differences, one being the price. I love a sturdy backpack that looks sleek and if you do too, this is a really good choice. The backpack is reinforced with carbon fibre in the body and lid to stay firm even when empty – perfect insulation for riders who live on the edge and often flirt with danger. The shell is decorated with reflective piping material and the bag is made to aerodynamic perfection. Throw in durable waist and sternum straps, padded shoulder straps and an external buckle to hang your helmet and you’ve got a very functional motorcycle backpack. Not only is this back-pack light-weight and compact (and fits into its own attached pouch), but it has lots of zippered pockets to help keep things organized. Great value for money deal. Sometimes you need a ‘grab-and-go’ bag – everyone has one in their house. That bag that’s always lying near the front entrance that you’ve used to take your child’s sneakers to school, and for a quick grocery store run, and as a gym bag when your favorite one is in the wash… that bag. This is one of those bags. It’s affordable and lightweight but has enough compartments to be useful for just about everything, while still being a decent motorbike rucksack. Nylon mesh bags on the side can be used for storing items although it might be better to keep items safely zipped away while riding. The material is water resistant and the front waist strap makes this an ideal bag for quick and hassle-free rides. If you are looking for a bag to use in casual instances where you’ll be carrying items that aren’t sensitive to impact or the elements, this is a great choice! This bag is a travelers best companion with ample protected storage pockets for glasses,phones and laptops. I took a long time picking out my riding backpack but it was worth all the effort I put into my research. I’m a guy that’s always on the go so I chose a backpack that’s strong enough to protect my laptop and essentials in almost any circumstance. This bag is ready to hold all of your valuables and is compatible with smaller gadgets like iPads and tablets, as well as bigger electronics such as laptops. It actually features an armor protected dedicated laptop compartment (up to 17") and a crush resistant tech vault pocket - making it the best motorcycle laptop backpack. Additional features like strong side zippered pockets and dual side water bottle holders make this a great option for everyday commuting. If you're a big traveler, you'll also be happy to know that I haven't had any issues fitting the bag underneath my plane seat whilst flying. If speed is the name of the game, the low drag is your number one criteria and the OGIO Mach 5 is your number one choice. The Mach 5 from OGIO is the latest remake of the highly successful OGIO Mach 3, having received a number of upgrades and additional features the OGIO Mach 5 is a definite winner. You'll immediately notice (or not notice at all) the comfort of this backpack when riding at faster speeds as the straps won't pull on your shoulders, the bag won't flail in the wind and you won't be held back like you would with a traditional backpack. We found this backpack to be extremely comfortable with padding at every point where it makes contact with your body. A clever addition is the inclusion of a small fanny pack like bag that's attached to the waist strap where you can keep items like your wallet, phone and keys so you don't need to take the whole bag off to grab them. What we originally thought to be a bit of a useless feature, is the slit in the shoulder strap to allow your camel pack mouth piece to fit through. But we've swallowed our words along with the water while riding and have now and fallen in love with its brilliance, especially on longer rides or hot days. Having said that, I probably wouldn't recommend using this bag for longer trips as there isn't much room to accommodate all the extra items you might need. This is a great example of a tactical style bag that’s ready to go to war with you on your motorcycle. A proper motorcycle rucksack, the bag is waterproof and has a 37L capacity. There’s a back pocket intended to fit a 2L water bladder, making this the ideal bag for long and rough runs where you’ll need to stay hydrated while riding. If you like compartmentalizing items before you head out for a trip, this is also a good choice. There are pockets, pockets and more pockets at the front top, front bottom and rear end, with one main compartment offering several meshed and zipped inner pockets. While the bag claims to have full waterproof capabilities I did experience some leakage when I put it to the test. 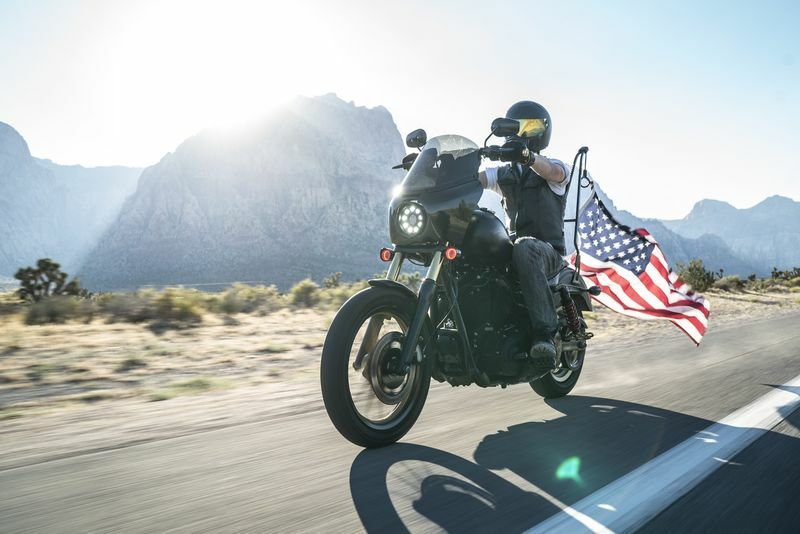 Viking Bags have definitely left their mark as a top quality motorcycle luggage manufacturer, their claim to fame is literally "Motorcycle Luggage Experts". Their bags are born out of innovation and style which is what makes the Viking Moto Backpack the perfect bag for all riders. The Viking Moto bag is constructed with Cordura has everything a rider needs with this backpack which even has a built-in helmet hood to hold your gear for when you don’t have a place to put your helmet once you arrive at their destination. The bag is made with both a waist and sternum strap for better fit and reflective piping gives extra protection for night time riding. The bag has padding inside to hold electronics and is made from heavy-duty material. It also features an attachable and retractable waterproof rain cover, a great choice if you’re looking for everyday functionality but plan to travel relatively light! Aerodynamic design – no wind drag! Choosing the best motorcycle backpack for your needs can be a bit of a challenge if you’re not sure what you need or want. I suggest taking the time to draw up a list of features that you look for in a backpack – this will save you tons of time when you start looking around! Our favorite choice is the OGIO Mach 5. It has the basic qualities that every motorbike backpack should have, namely reflective piping, strong material that can handle high-impact scenarios and enough compartments to make organization easy. 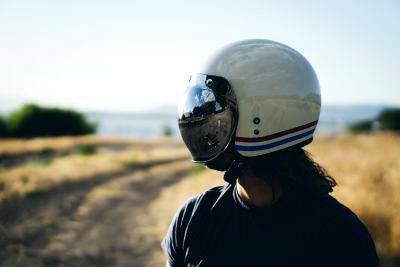 It is designed with motorcycle riders in mind and provides great air flow and ventilation and the materials used are strong and made to last. Purchasing a motorcycle bookbag can be an expensive commitment but when you consider how often you’ll be using a dedicated motorbike backpack, it makes a lot of sense to invest in a high-quality bag with great functionality. Let us know which bag you would nominate as the best motorcycle backpack! Riding your beast is the most satisfying feeling in the world, but can also be very dangerous. Read how to avoid the most common accidents on the road. How do I choose the best motorcycle radar detector to control speeding and screen out false alarms? Here's our review of the best radar detectors in 2018. 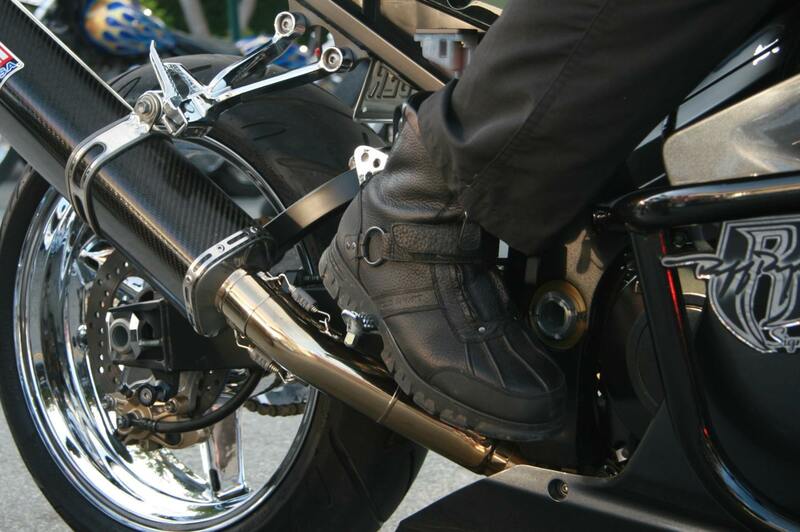 Motorcycle shoes are one of the most versatile accessories a rider can buy - here's how to choose a pair of motorcycle boots for everyday riding. The best women's motorcycle boots are hard to find. 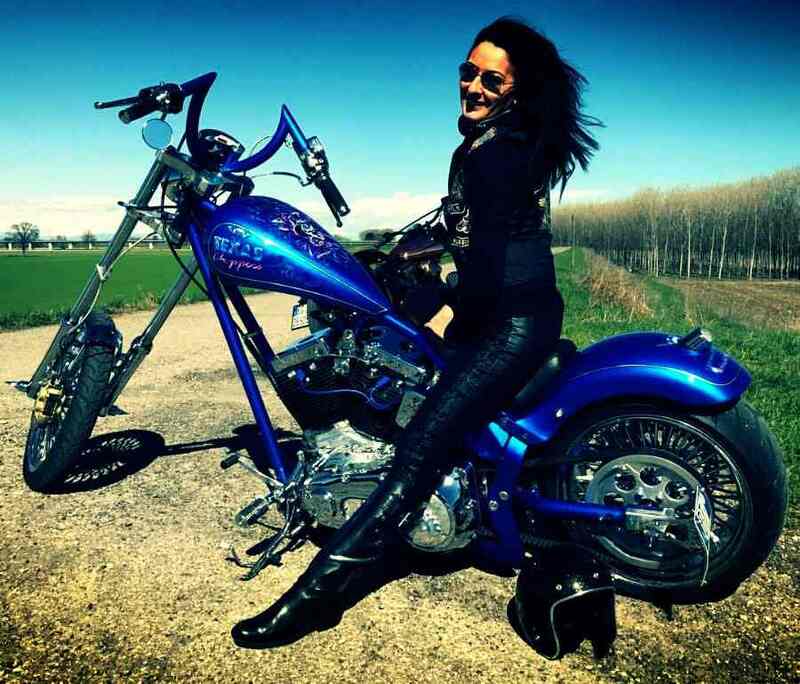 Here's how to choose affordable ladies motorcycle boots that will fit your budget and style.